Smart Net Cafe is a simple Internet cafe business management software. You can manage your Internet cafe and its sales easily by using Smart Net Cafe. 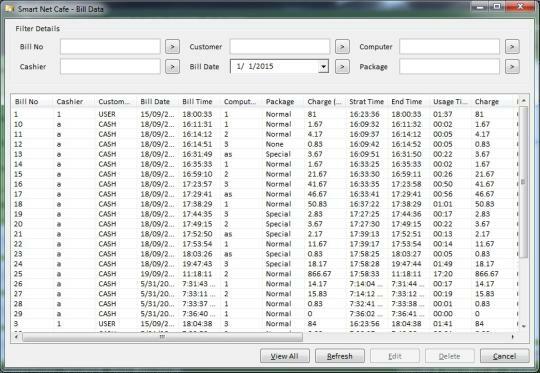 This software is specially designed for the billing purpose in an Internet cafe. This software calculate the usage time and prompt you the price automatically. Also you can get a nice bill and manage your sales easily. There are no limitations for computers and packages. You can customize everything like currency, bill, discounts. This is the complete solution for all management needs in your Internet cafe. Enjoy easy-to-use interface, simple and powerful tools of the software.